The form is meant to show strength and power but it is also an 'open' form showing inside a Koru symbolizing new life, growth and peace as well as strength. In Maori culture the circular shape of the koru conveys the essence of perpetual movement and rebirth. 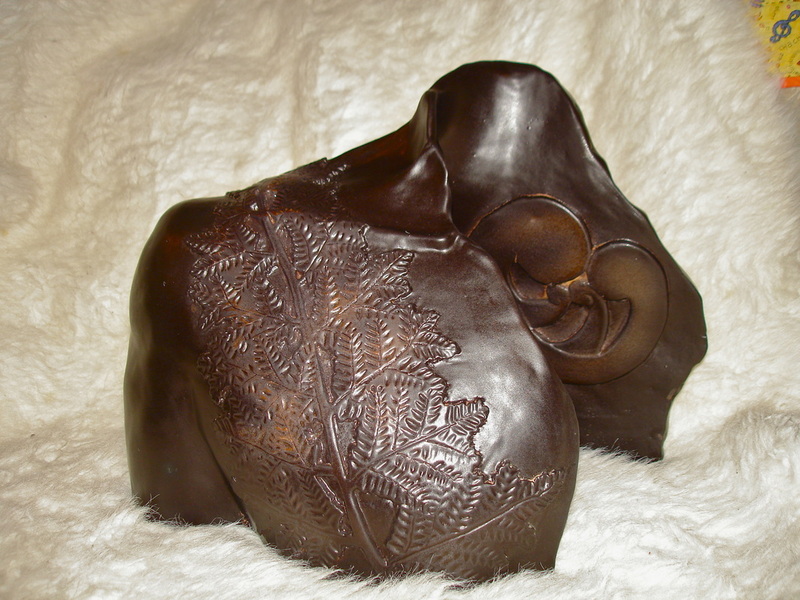 The open structure also shows both the interior and the exterior of the torso - the koru heart is laid bare while the fully grown fern adorns the outer breast.